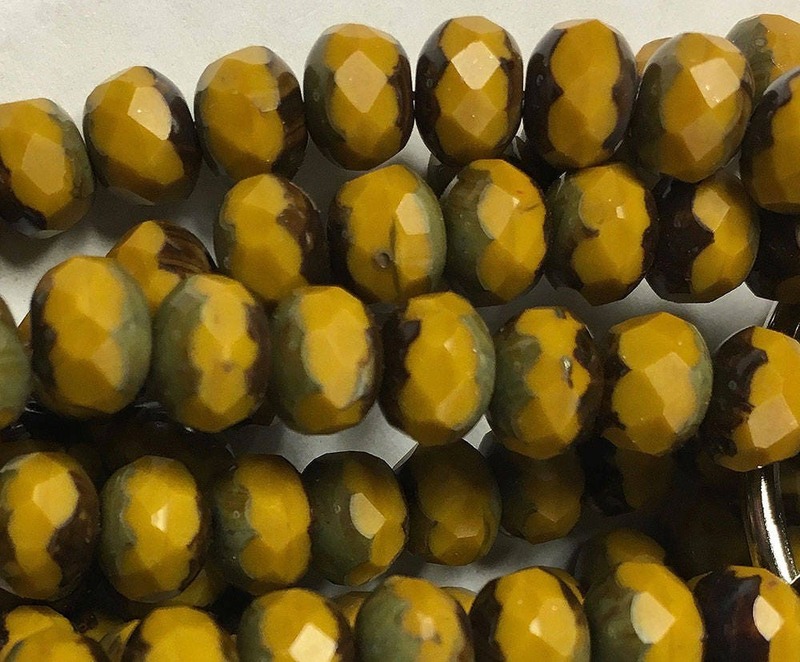 Mustard yellow Czech pressed glass medium sized faceted rondelle beads with picasso around the edges. These are 5mm x 7 mm. There are 25 beads per strand. Great beads! I love them!